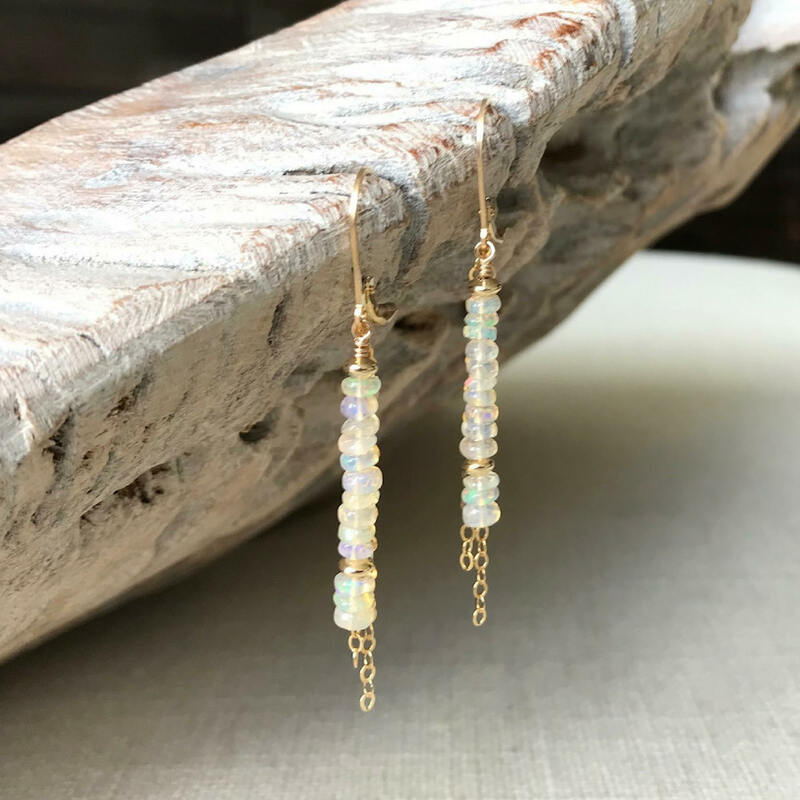 These gorgeous, dainty high quality natural Welo opal rondelles are layered with gold filled rondelles and dangle together with gold filled chain from gold filled leverbacks. The Welo rondelles are rich with beautiful rainbow flashes and just stunning. 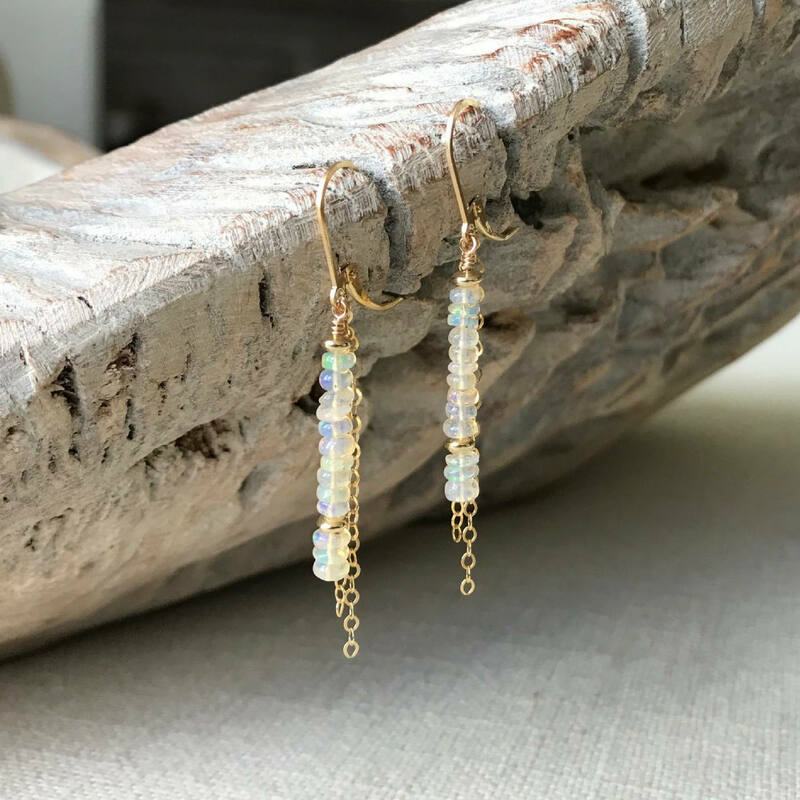 These earrings are modern & sleek. 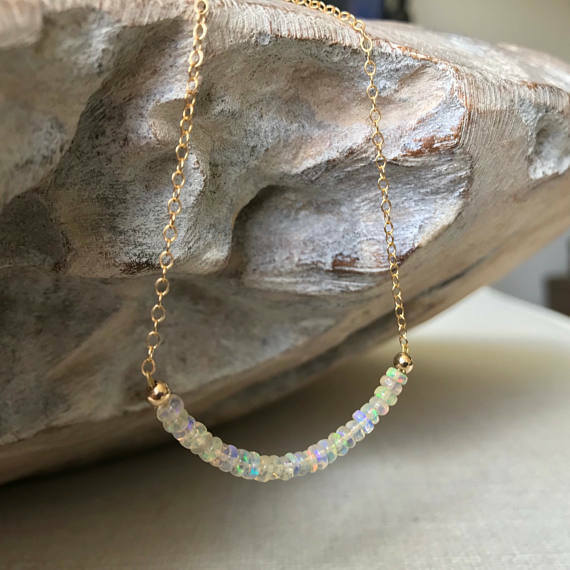 They are a perfect gift for an October birthday, bridesmaids or perhaps a little something for yourself! 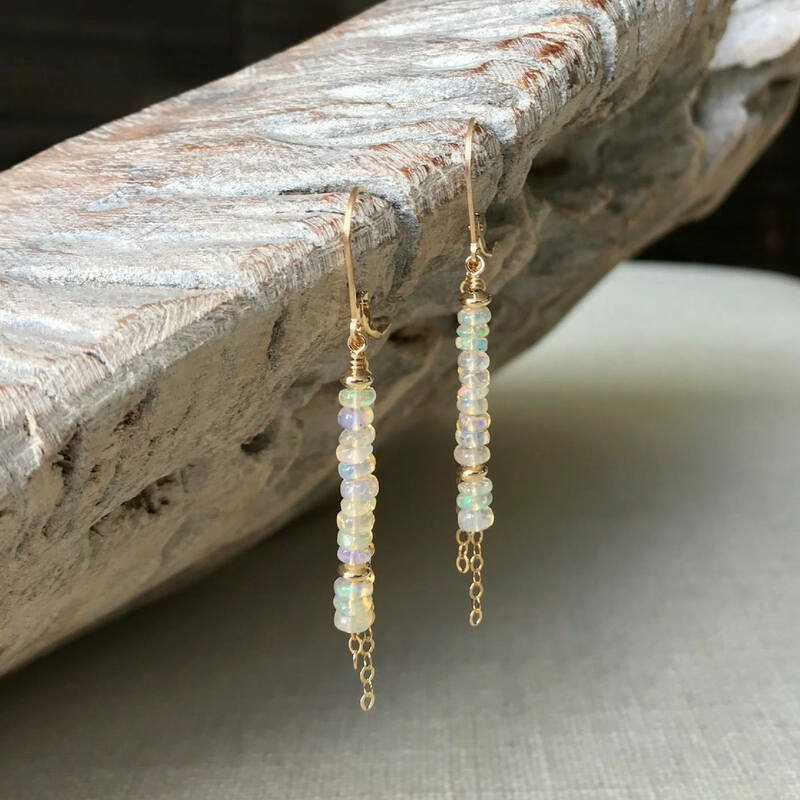 The earrings measure approx 2.25" from end to end. 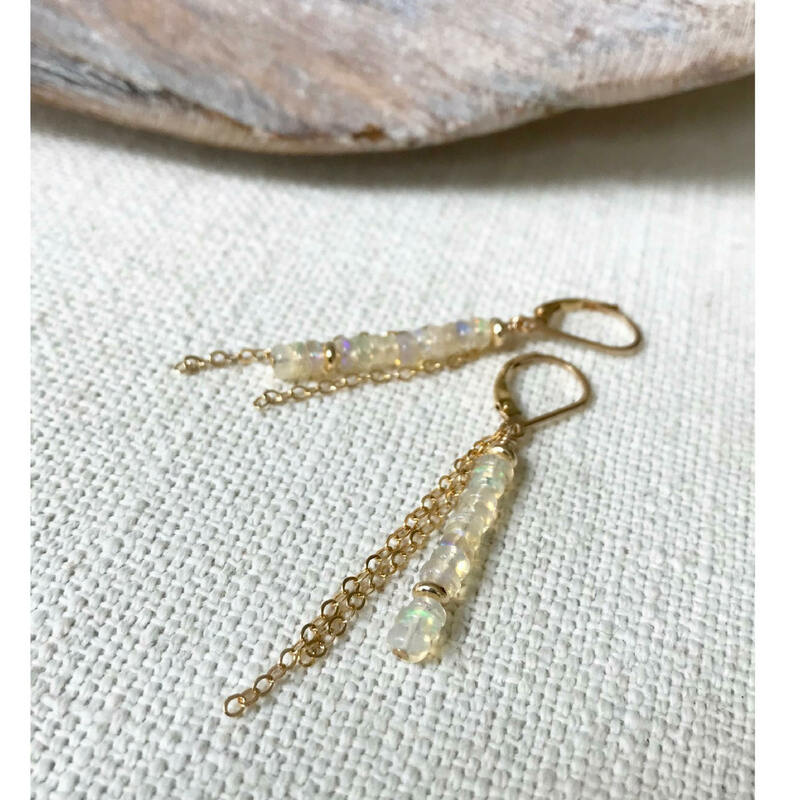 The Welo opal bars are just over 1" and the Welo opal rondelles are approx 3-3.5mm.